The American Marketing Association formally defines marketing research as the following Marketing research is the function that links the consumer. customer. and public to the marketer through information information used to identify and define marketing opportunities and problems; generate, refine. and evaluate marketing actions; monitor marketing performance; and improve understanding of marketing as a process. Our definition states that organizations engage in marketing research for two reasons: (I) to identify and (2) to solve marketing problems. This distinction serves as a basis for classifying marketing research into problem-identification research and problem-solving research, as shown in Figure 1.1. Once a problem or opportunity has been identified, problem-solving research is undertaken to arrive at a solution. The findings of problem-solving research are used in making decisions that will solve specific marketing problems. Most companies conduct problem-solving research? 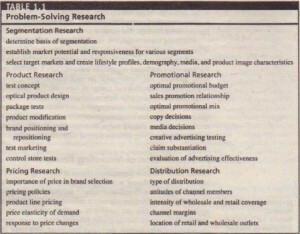 Table 1.1 shows the different types of issues that are addressed by problem-solving research, including segmentation, product, pricing, promotion, and distribution research. 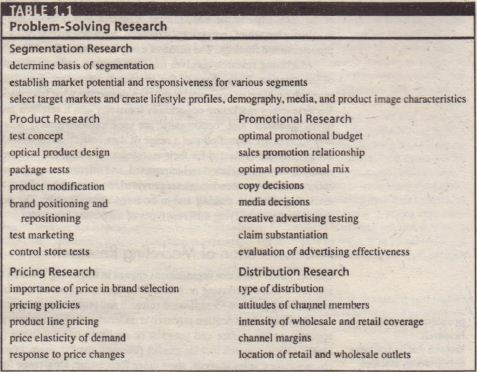 Classifying marketing research into two main types is useful from a conceptual as well as a practical viewpoint. 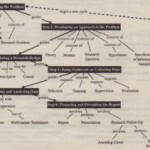 However, problem-identification research and problem-solving research go hand in hand, and a given marketing research project may combine both types of research. This was illustrated in the opening Boeing example. The consumer surveys identified potential demand for smaller planes (problem identification). Subsequent product research led to the introduction of the new versions of the Boeing 737, which cater to the 100- to 215-seat market (problem solving). Kellogg’s provides another example. Marriott International. Inc is a leading worldwide hospitality company. Its heritage can be traced to a root beer stand opened in Washington, D.C., in 1927 by J. Willard and Alice S. Marriott. As of 2009, Marriott International has nearly 3.000 lodging properties located in the United States and 69 other countries and territories. Its brands include Marriott. Renaissance, Courtyard, Residence Inn. The nature and role of marketing research can be better understood in light of the basic marketing paradigm depicted in Figure 1.2. The emphasis in marketing is on the identification and satisfaction of customer needs. In order to determine customer needs and to implement marketing strategies and programs aimed at satisfying those needs. marketing managers need information. They need information about customers. 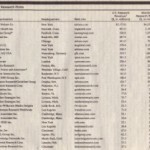 competitors, and other forces in the marketplace. In recent years. many factors have increased the need for more and better information. As firms have become national and international in scope, the need for information on larger and more distant markets has increased. As consumers have become more affluent and sophisticated, marketing managers need better information on how they will respond to products and other marketing offerings. As competition has become more intense, managers need information on the effectiveness of their marketing iools. As the environment changes more rapidly, marketing managers need more timely information. As illustrated by the examples in the chapter overview and by the Power Decisions example. marketing and marketing research are becoming more and more integrated. IS Power Decisions Using market research and decision clarification tools. they help clients benefit from the right marketing research information for uncovering marketing strategy solutions that work. Power Decisions researches. evaluates. and facilitates its clients’ market entry and market share growth. Figure 1.3 is a pictorial representation of Power Decisions’ methodology. A food-processing company approached Power Decisions for opportunity scanning and brand development. The client was a well-respected private-label food processor that held a strong position in Western markets. Top grocery chains stocked much of its canned vegetables line-it was known for packing quality product at competitive prices. The private-label business. however. grew more price competitive and profits began to erode. A proprietary brand strategy was required to deliver higher profits through restored margins. • Scanned and evaluated more than 40 product groups, ecommending a shortlist of product category candidates. • Conducted a consumer research study to find a set of canned food products with low consumer satisfaction and high interest in a new brand. • Made I! trade-off analysis to calculate the price-quality blends that had the best chance of success. The final stage was to manage the brand name development, package design, initial ad campaign, and test market plan. As a result, the new brand containing the blend of ingredients desired most by consumers was successfully introduced at a premium price level. The brand fast gained both trade and consumer acceptance and was later expanded to other products and institutional markets.